There are a ton of crazy workout gadgets out there that are absolute wastes of time. I am sure you have tried a few now and again and can name some that were totally useless. Well, one item that you might have seen at one time or another that is NOT useless, is the Globe Gripz handles. I have been training with Globe Gripz off and on since 2012. I immediately was impressed by their packaging and the quality of the product. For the last few weeks, though, Globe Gripz have been a weekly part of my training. In fact, I have had a resurgence in my Biceps training, especially in the Barbell Curl. For several years, I did not do Barbell Curls because they hurt my wrists and forearms so intensely sometimes that I would feel the leftover pain for several days down the line. However, with Globe Gripz on the bar, I feel ZERO pain in these areas when curling. I have been able to put several good, solid weeks of training in and have upped my 1-Rep-Max in the Barbell Curl to 160-lbs and have been increasing my repetitions with 135-lbs on the bar on a near weekly basis, nearly hitting 10 reps just yesterday. If you feel the same kind of pain in the Barbell Curl that I do, I strongly encourage you to check out Globe Gripz. Naturally, there are LOTS of other ways Globe Gripz can be used, just like Fat Gripz and the other Instant Thick Bar Handles that are on the market. Barbell Curls is simply what I use Globe Gripz for the most. Actually, that’s all I really use them for. Now, I am also aware that there are strict curl competitions, where people stand against a wall or some other structure to prevent swaying back or using the delts and back for assistance. Awesome! I am all about competition and comparing my lifts against others, ESPECIALLY when there is a standard, so I tried them too. I really do not know where this would put me in the established competition lifts that exist. I am assuming that for my bodyweight (about 235 on the day of that lift), this would be pretty low, as I am sure the competitors have a much better grasp on the proper technique of the lift. For instance, I noticed some substantial stress on my lumbar during the first rep and had to adjust where I had my feet to reduce it. It’s definitely not just a vacation performing this lift, especially when you are going for a near-max. So, here’s the deal. Some people think Curls are stupid. If you feel this way, that is fine. I personally like to keep track of things like this. I have an idea of my PR in lots and lots of lifts and I like to push myself in this nature. Plus, I love competition. Ever since I was a child and played baseball, I have loved the field of competition. Over the years, that field turned from a diamond of dirt and grass with a fence around it to the Strongman and Grip Strength Platforms. If I can find a Strict Curl competition nearby, I might add that to my Competition Portfolio as well. If anyone is familiar with them, I’d love to hear about them. Now, if you are not into competition, but just want to get bigger and stronger arms, then be sure to check out Call to Arms, an ebook I put out last year with Joe Meglio. Naturally, the chain is only as strong as its weakest link. If you are not training your biceps with some intensity on a regular basis, then they could be your weakest link. At the least, they might hold you back on other lifts. At worst, you could run the risk of tearing a bicep and be out of competition and training for a while, waiting for it to heal. Intense Arm Training, like what we cover in Call to Arms can help you erase that weakness. Also, if you are Grip Enthusiast, you should consider adding Arm Training of some sort to your routine. Both Paul Knight and Steve McGranahan have made mention of the relationship between Grip Strength and their overall arm strength. In Mid-June, I made the trip to Juniata College in Huntingdon PA for about the 11th year in a row. There, I had a couple of great training sessions, one of which I posted here: 1st Night Upper Body Workout. During the course of the weekend, I attended many presentations from various strength coaches and other members of the strength and conditioning profession. Some of them I thought were very good and I would like to point to some highlights here today. This one caught my eye in a hurry. First off, I know Cam well because he has spoken at Juniata for several years and I have attended his talks before, plus I have spent time with him off to the side and talked training with him. I knew he was a good coach and I also knew he was an accomplished Olympic Weightlifter. With this combined, I couldn’t miss his talk. Oly Lifts Eat Up Training Time? The primary reason this talk interested me was because I have always been under the assumption that teaching the full Olympic Lifts to athletes could result in a great deal of time eaten up by the process due to the high levels of skill required for the full lifts. When there are so many things a coach must include in a complete strength programs for student athletes of various sports, in order to get them stronger and keep them injury free, it always seemed like the effort to teach these complex lifts could be put toward other types of training instead. In fact, many strength coaches who work full time in the profession have said the same thing, that they do not bother with the full lifts in their programs because it eats up a lot of time when they could be teaching something else. Because of this fact, they often teach only parts of the lifts, such as Power Shrugs, Front Squats, and other common Olympic Weightlifting drills that still help train athletes to be strong, explosive, and powerful. These variations are less complex and you don’t encounter the same degree of limitations for some of the athletes, such as poor thoracic mobility or lack of wrist flexibility, both of which can make the full Olympic Lifts very hard to master. Cadence Commands to Dictate Technique? However, I think Cam has developed a pretty good way to include the full lifts into the program. He uses a cadence, or a serious of numbers and other called commands that dictate the pace of the movement that each athlete executes. If it is hard for you to picture what I am talking about, don’t feel bad. I had no idea what he was describing either, until he got to the section of his talk where he provided video. But let me try one more time. Essentially, Cam breaks the lift down into several stages. So if they are doing a Power Clean from the Hang position, that lift is broken down into 4 or more stages. Stage 1 would be lifting the barbell out of the rack or off the floor. Stage 2 would be lowering the bar down the thighs slightly, engaging the hamstrings and glutes. Stage 3 would be firing the posterior chain muscles and cleaning the bar to the shoulder for the catch phase of the Power Clean and Stage 4 would be returning to the upright standing position. Cam has verbal cues that he uses for each Stage of each drill. As he calls each number or cue (in one case, he used the term “home” for the cue), the athletes move accordingly, all pretty much at the same time. This is just one example of how he breaks down one drill, but he showed 4 or 5 drills that he applies this cadence to. Cam Davidson has obviously found a way to make the Olympic Lifts work for his athletes. I don’t recall the number of teams he works with, so I can’t speak to that, but I know the athletes he had on tape executing the Cadence Training were women’s volleyball players, who obviously need to be able to explode off the ground to block and spike the ball above the net, and can benefit from training the full Olympic lifts. One thing to take note of is that Cam stated the majority of the work they do is in the 80% to 90% range. I did not note however, whether this was done using the cadence-pause commands or simply with the full Olympic lifts done in the conventional matter. This was quite an eye-opening talk for me. As someone who does not work in a university or college setting as a strength coach, I really have to take the word of other coaches when they tell me of their experiences, successes and struggles with the implementation of the Olympic lifts. If coaches are looking for ways to include the Olympic lifts in their programs, this could be one way to make them work, once they get past the initial stages of teaching proper technique. I will have more to come from the Juniata Clinic later this week. Make sure to sign up for updates, so you are the first to know when knew posts go up on the blog. When Matt Ellis and I released Grip Training for Track and Field Throwers, we knew that the information was killer, but we also wanted to see what other experienced Throwers had to say about it, so we sent out some complimentary copies. Now, the feedback is coming in and I am excited to share what a truly great multi-talented athlete had to say about it. “The Track and Field Grip Training DVD is outstanding. 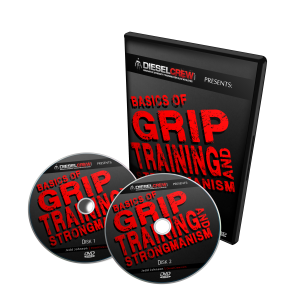 It is a complete collection of simple and practical exercises for throwers, lifters, and any person concerned with their hand and lower arm health. The preventive and strength building exercises can be performed in or outside of a gym, which is useful for those unable to travel to the gym on a daily basis. In addition to grip tools already found in the gym, Jedd and Matt present easy and inexpensive alternatives to top rated grip equipment to further strengthen your grip. Their inventive program can apply to the novice gripper and challenge the elite crusher. 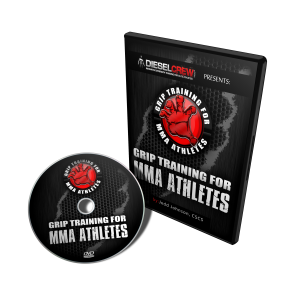 With nearly two hours of valuable demonstrations, your grip training will stay exciting and strength will continue to impress. You have probably heard of Adriane before under her maiden name, Blewitt. She is a decorated Highland Games competitor, having won the Women’s World Championship on 3 separate occasions. She also became the first woman to certify on the IronMind #2 Captains of Crush Gripper in the Fall of 2011. Adriane also nearly became a member of the 2012 USA Olympic Team, as she competed for a spot in the Throws, but was ever so slightly edged out during the trials. To get feedback like this from a truly gifted athlete such as Adriane is an unbelievable feeling. If you are a thrower, a coach, or an athlete, this DVD can help you get to the next level with your throws, as well as keep your hands, wrist, and elbows more resistant against injuries. Last year, I met a great coach named Matt Ellis from Primal Athlete Training Center, at a seminar I attended. It was great meeting him. We sat down for lunch one day between sessions at the workshop, and we started talking about a possible resource we could put out for track and field throwers to help them develop their hand strength in a way to both increase their performance AND to prevent injuries from taking place. In the short video below, I talk about our project and what it covers for the throwing athletes of Track and Field. The DVD Artwork features Adrian Wilson. Adrian is a highly respected strength athlete, as well as an Elite Track and Field Thrower, 3X Highland Games World Champion, and she became the first Woman Certified as Captain of Crush. 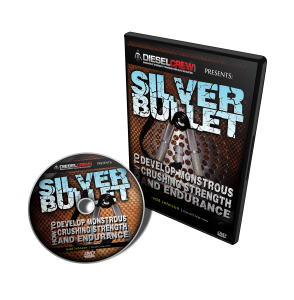 If you are thrower or are a coach that works with throwers, make sure to sign up for updates regarding this DVD. In it, we should dozens of way to strengthen and bullet-proof the hands. And don’t worry about having to take out a second mortgage on your house to buy all the equipment. Many of the drills we show involve using equipment you already have at your gym, or things you can easily make yourself. Get ready for more coming soon.